If you're a Titanic fan like me, Ireland is your ultimate film‐inspired travel destination! 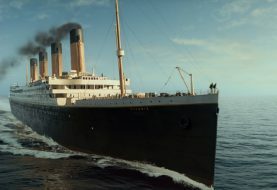 Not only because several scenes for the 1997 blockbuster were filmed here, but also because the country has many links to the tragic real‐life story of the original Titanic ship, which sank on its maiden voyage in April 1912. 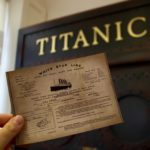 What is the Titanic Experience Cobh all about? Cobh is a harbour town on the South Coast of Ireland, which was formerly known as Queenstown. On April 11, 1912, Queenstown was the last point of call of the real RMS Titanic. In the film Titanic (1997), Rose and Jack board the ship in Southampton in England, which was the Titanic's first point of call. The final stop in Queenstown is briefly mentioned when an elderly Rose tells her story and recalls: "By the next afternoon, we were steaming west from the coast of Ireland with nothing out ahead of us but ocean." Nowadays, you can authentically relive the moment when the last passengers waited to board the Titanic at Queenstown and what it was like on board of this fascinating ship. Just head to the Titanic museum Titanic Experience Cobh. The most convenient way to travel to Cobh is by train. This is possible on a day trip from Dublin. The journey takes about 3 1/2 to 4 hours (with one change in Cork) and offers a very scenic view of the Irish countryside. If possible, book a few weeks ahead of your journey through the website of Irishrail as the train tickets get more expensive the closer you get to your departure date. From the train station of Cobh, everything is within walking distance and it's just a short walk to the Titanic museum Titanic Experience Cobh. The Titanic Experience Cobh is located inside a building that used to be the White Star Line Ticket Office of Queenstown. This was the departure point for many thousands of White Star Line passengers, including 123 people that boarded the Titanic from here on April 11, 1912. 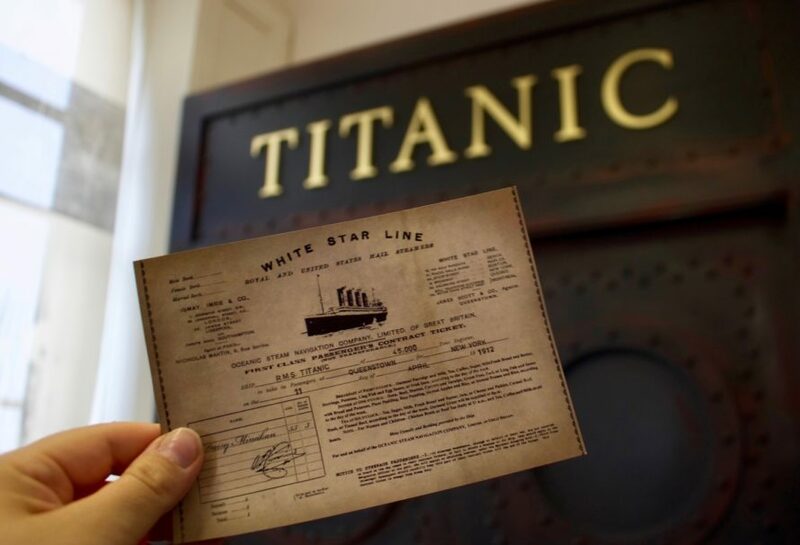 At the beginning of this Titanic museum, every visitor gets a ticket, which comes in the form of a boarding card. This boarding card lists the name of a real life Titanic passenger who entered the ship at Queenstown. It also lists the class that this passenger was travelling in (first, second or third) and the fare that was paid for the ticket (including the conversion into today's money so you can get a good idea of what people would have paid for a journey on the Titanic). In a small group, you will then be led through several Titanic‐inspired rooms by a personal guide. This virtual tour lasts for about 30 minutes. You will see a third class cabin and common room, where third‐class passenger Jack Dawson would have spent his time in the film. You will also see a lavish first‐class suite, which would have been occupied by rich Titanic passengers, such as Rose and her fiancée Cal Hockley in the film. The highlight of the guided tour is the moment when you enter the exact same spot at which the original passengers stood at when they waited to board the Titanic. The gallery at the top was reserved for second and first class passengers. Only a handful of these boarded the Titanic in Queenstown. The large majority of the real 123 Titanic passengers that boarded the ship at Queenstown (Cobh) were Irish emigrants, who travelled in third class just like Jack in the film. These third‐class passengers all waited on the ground level of the ticket office, which now is the terrace of a pub. Luckily, we have a great photo of this scene. Taken by the Reverend Francis Browne, who left the ship in Cobh, this photo shows all 123 passengers while they waited to board the tender boats that would take them to the Titanic on April 11, 1912. Titanic passengers waiting to embark on the White Star tenders on April 11.1912. Photo taken by Father Browne. Courtesy of Titanic Experience Cobh. After the guided tour, you can stay in the exhibition area as long as you like to explore the various audio and visual presentations at your own pace. Here, can you also learn more about the personal stories behind some of the real‐life Titanic passengers. Just before you leave the exhibition, you can check the name on your boarding card against the names of survivors and victims written on a large board. Have you survived or did you tragically perish? Finally, there is a Titanic shop with several books and other Titanic‐inspired souvenirs, such as Rose's "heart of the ocean". Entry to the Titanic Experience Cobh currently cost 9,50 Euros for an adult. There are concessions for children, students and seniors as well as special family tickets. You can also book a combo ticket, which in addition to the ticket for the Titanic Experience Cobh includes a guided walking tour in Cobh by Titanic Trail. This ticket currently costs 17 Euros for an adult. A ticket can be bought via the online ticket shop of the Titanic Experience Cobh or in person at the ticket counter. What else is there to see in this part of Ireland? If you have time, I would recommend to have a drink and / or meal at the Titanic Bar and Grill, which is located on the ground floor of the same building, in which theTitanic Experience Cobh is housed. From here, you can access the terrace where the original third class Titanic passengers waited to board the ship. A unique experience for sure. Titanic fans, both of the movie and the real‐life story, can really feel like they have stepped back in time here. Many Irish Titanic passengers who boarded the ship in Queenstown went to church the night before or in the morning of their sailing. Walking to the beautiful church on the hill is quite easy. Just be prepared that some paths are a little steep. The cathedral from the inside. For those interested in learning even more about the history of the harbour town of Cobh and Irish emigration in general, check out the Cobh Heritage Centre, which is located just a few steps from the Titanic Experience Cobh and right next to Cobh train station. Outside of this museum, you will also see a statue of the very first immigrants to pass through newly erected Ellis Island in 1892. Annie Moore was a 17‐year‐old Irish girl, who left from Queenstown with her two younger brothers to emigrate to America and join their previously emigrated parents. If you would like to hear more about some of the streets and locations directly linked to the Titanic and its passengers, join the 1‐hour walking tour through Cork known as the Titanic Trail. And if you like your history a little bit darker, there is also a 1‐hour Titanic Ghost Tour starting at 8 pm. Cork, the third largest city of Ireland by population, is just a 25‐minute train ride away from Cobh. You need to change here anyway on your train journey from and back to Dublin, so you might want to make a stop to have a meal or just look around town. You are not bound to any specific time for when you need to use your train ticket for the journey between Cork and Cobh, so you can take advantage of that flexibility. Although this is a relatively small Titanic museum, the experience is a very authentic one because you will be at the original locations of where some of the real Titanic passengers actually were. The history buff and Titanic nerd that I am, I have been two times now and totally loved it. So in my opinion, the Titanic Experience Cobh is a must‐do for any Titanic fan! Disclosure: In order to write about my visit, I received a complimentary ticket from the Titanic Experience Cobh. As always, I provided my honest opinion about my experience. All views expressed in this blog post are entirely my own and unbiased. This post also includes affiliate links GetYourGuide.com. If you book any of the mentioned experiences through such an affiliate link, I will receive a small commission fee, which I will use towards running my website.